Each curtain measures 3.3ft(W)*6.6ft(H)/(1m*2m). you can choose the color and quantity you need. 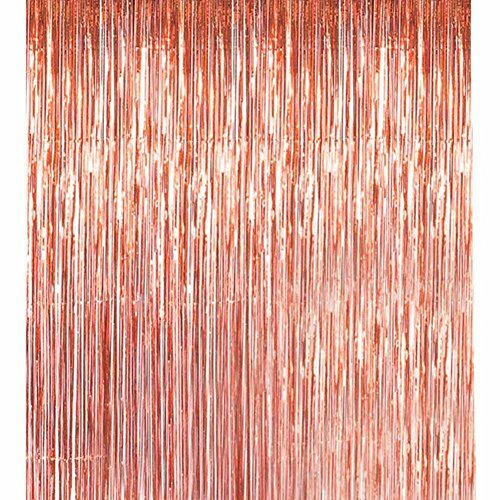 Metallic material: this party curtains set is made of metallic tinsel material, good quality and shinny, make you an adorable station. Perfect decoration for photo backdrop, photo booth, birthdays, weddings, baby showers, graduations, Halloween parties and more. It will be great if you decorate with a birthday balloon. Easy to use: has a piece of double self-adhesive tape on top of each fringe curtain, just peal off the tape, and paste it on wall or table. If there were any problem of product or service, we will help you to solve it at first time, and any of your suggestions are precious and welcome. If you have any questions about this product by Havenport, contact us by completing and submitting the form below. If you are looking for a specif part number, please include it with your message.